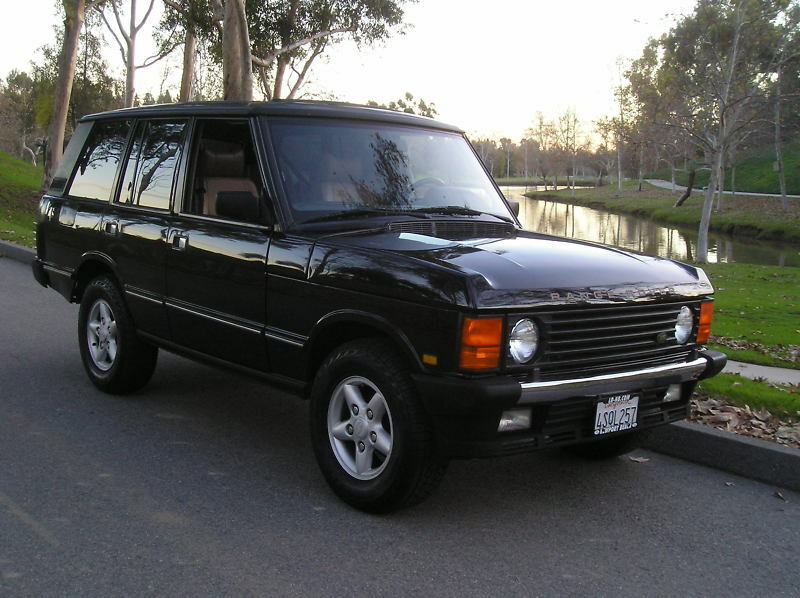 As I've mentioned in previous Range Rover posts, I really like the old "Classic" Range Rover. They look tough, but not "cartoonish tough" and they look classy, but in a pedigreed way, not in a "let's make a truck look like a luxury car" way. 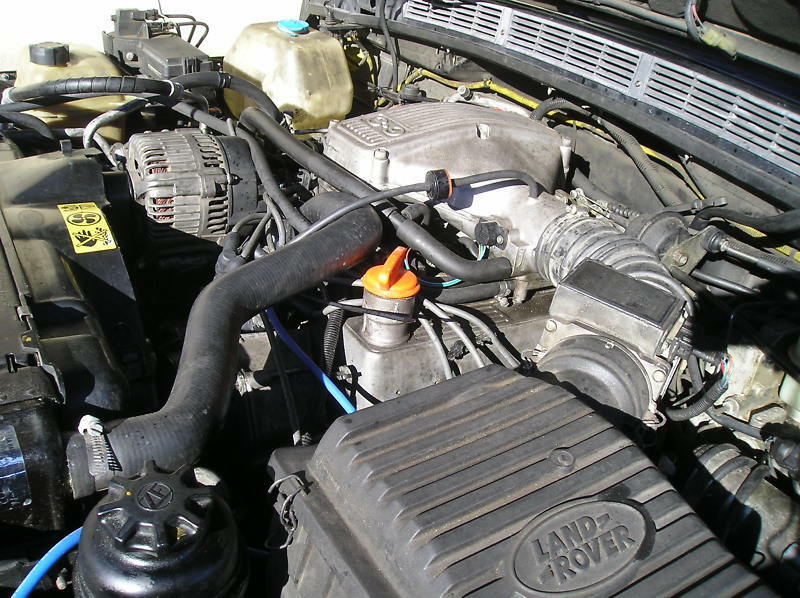 This is a 1995 County Classic SWB (Short Wheel Base) Range Rover. It is, in my opinion, the classic Ranger Rover to own. By 1995 Land Rover was already selling the new Range Rover. For one model year, however, they chose to sell the Classic Range Rover side be side with the new model. Surprisingly, for a vehicle they knew they would be discontinuing at the end of the model year, Land Rover made some improvements to the Classic Range Rover. Notably, it received an all new dashboard, one that mimicked the dash found in the Land Rover Discovery. It was a huge improvement. These early Range Rovers are not vehicles without problems. Two of the most common ones are head gasket failures and problems with the air suspension. Both of these problems have been addressed by the owner. The headliner, which sags on all old Range Rovers, has also been replaced. This Range Rover is in very nice condition. The color, Beluga Black, was one of the few options ($300.00) available on the classic Range Rover in 1995. Black has always been my favorite color on old Range Rovers, as it blends in nicely wit the black D-pillars. The seller doesn't mention the condition of the upper tailgate frame, which is important as they rust badly. It looks like there might be some rust on the lower right edge of the frame (which is where they all start to rust), but then again it could just be shadows. New aluminum frames are available, but they're not cheap. The interior looks to have few, if any flaws. I have thought about buying an old Range Rover for a few years now. (I went so far as to make a couple of offers on one near Boston. The owner was a weird man and would accept the offer in person or over the phone and then about an hour later e-mail me saying he needed more money. After playing that game for a few days, I just gave up. - He e-mailed me about 3 weeks after I stopped making offers and said he would accept my final offer. I told him I had found another one in better shape and a bit cheaper. 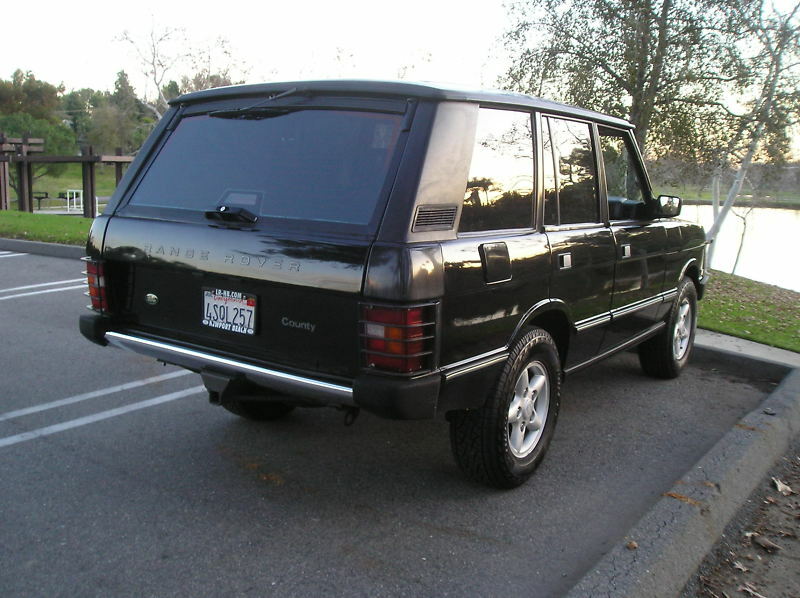 I hadn't, but after all the BS I went through with him and after telling my family and friends that I had bought this cool old Range Rover only to have to later tell them that I didn't, I felt like I had the right to be a jerk!) If this Range Rover wasn't on the complete opposite side of the country, I'd be bidding on it. Located in Garden Grove, CA, click here to see the eBay listing. For everything you've ever wanted to know (and more) about Ranger Rovers, check out The Enthusiast's Range Rovers Site by John Brabyn. Cool truck, but 2 things give me pause. 1) The badging on the rear is incorrect for a 95 classic----that combined with the bad paint on the RR quarter panel makes me wonder if it was hit. 2) Any classic rover ad that doesn't mention a single oil drip, probably isn't mentioning a few other things either. There is no such thing as a "mechanically flawless" 15 year old rover, period. 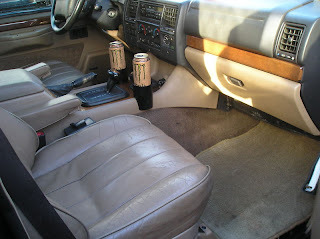 Do you really want to buy from a guy who has TWO large energy drinks in his cupholders? Well, as a dork I know that those energy drinks are Java Monster, which is like the best of the combo of coffee and energy drink goodness.